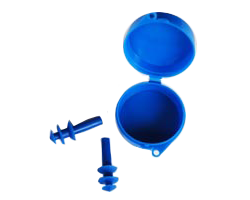 Well fitted Swimming ear plugs stop water from getting in ear canals and so can prevent discomfort and possible ear infections. Ear plug options are the same for children and adults, although children may need a little extra assistance when putting their ear plugs in. Setting the pace… we supply schools, clubs and events with swimming caps and swimming accessories such as goggles, ear plugs and fins. Our range of caps meet a variety of swimmers needs. Our on-site branding facilities allow for a quick turnaround time and excellent quality for a custom look.